Royal Trux (Neil Hagerty/Jennifer Herrema) are making their entire cumulative catalog (40 lps including Royal Trux, Neil Michael Hagerty, RTX, Howling Hex, and Black Bananas) available via their new home at Fat Possum. The releases are made available to the public via streaming for the first time and the scheduled roll out has the first 3 chosen albums arriving on all streaming outlets including Spotify, Apple Music, TIDAL, Amazon, Google Play, Deezer and more! 1993’s Cats and Dogs, 1998’s Accelerator and 1999’s Veterans of Disorder are the first 3 albums the duo have chosen to roll out. Since picking up where they left off, Jennifer Herrema and Neil Hagerty have gone back to work on their first studio LP in nearly 18 years. The band will self-produce, but will include an impressive roster of unexpected co-producers and collaborators on the new record’s rumoured 15 new tracks. 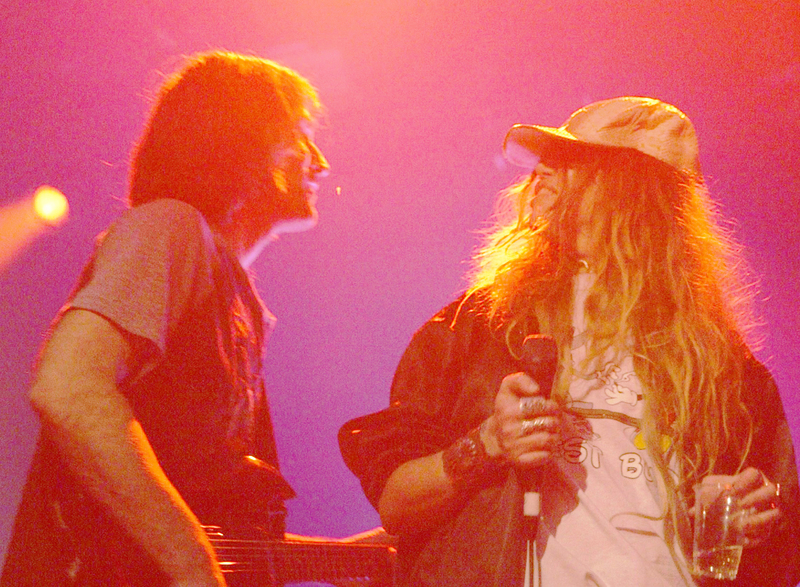 Stay tuned for the announcement coming via Instagram launching Royal Trux TV which will unleash a vault of previously unseen films, videos and live footage as well as the band’s long out-of-print scripted films ‘What Is Royal Trux?’ and ‘Live At Gettysburg’ along with newly created content for the forthcoming new record created by Herrema and Hagerty.